This post is sponsored by Cyber Group Studios / Disney Junior. All opinions expressed are my own. Gigantosaurus stomps onto Disney Channel [during the Disney Junior program block at 9 a.m.] on January 18th, and I think it's safe to say that we're all giddy with anticipation around here! Today, I'm excited to share this fun No-Sew Dinosaur Gloves craft inspired by the new animated Gigantosaurus series, for preschoolers. These DIY Dino mittens were a total hit with my toddlers - they absolutely LOVE them! My favorite part? They were super simple to assemble, and all-in, each pair only costs about $2 to make. 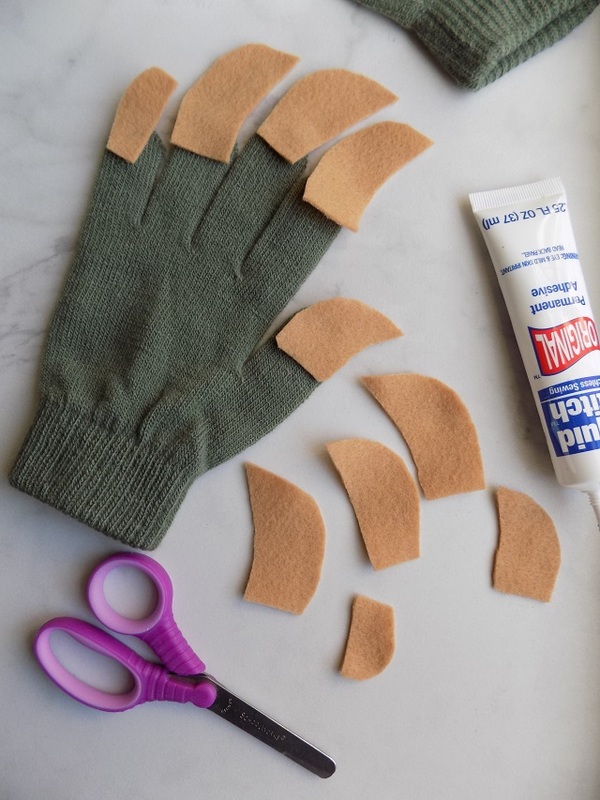 This DIY No-Sew Dinosaur Gloves craft is the perfect way to gear-up for the Gigantosaurus premiere this Friday, with your preschooler! They would also make a great DIY party favor for a Gigantosaurus themed dinosaur party! Based on Jonny Duddle's bestselling children's book of the same name, the Gigantosaurus series (developed and produced by France-based Cyber Group Studios) stars four fiercely-fun dinosaur friends who will take preschoolers on exciting comedy-filled adventures as they dare to be themselves and explore the world beyond their nests. Every vibrant imagination-inspiring episode follows the group on a quest, as they face their individual fears and work together to solve a problem. As the inquisitive Mazu, playful Tiny, timid, Bill, and courageous rocky aim to learn more about Gigantosaurus, they discover they each have something to learn from him too. Read on for more about Gigantosaurus, the full supply list and my easy tutorial to make your own No-Sew Dinosaur Gloves. Optional: Embroidery floss and a sewing needle for creative/decorative stitching on the claws / dinosaur scales. Cut large claw-like shapes, using your scissors and felt. Make sure that the base of your felt claws are no wider than the finger tips on your gloves (refer to images above and below.) Optional: Add creative stitching details using a needle/embroidery floss. Set to the side. Cut small circles, ovals etc. to add scale details to the tops of your dinosaur gloves. Optional: Add creative stitching details using a needle/embroidery floss. Set to the side. 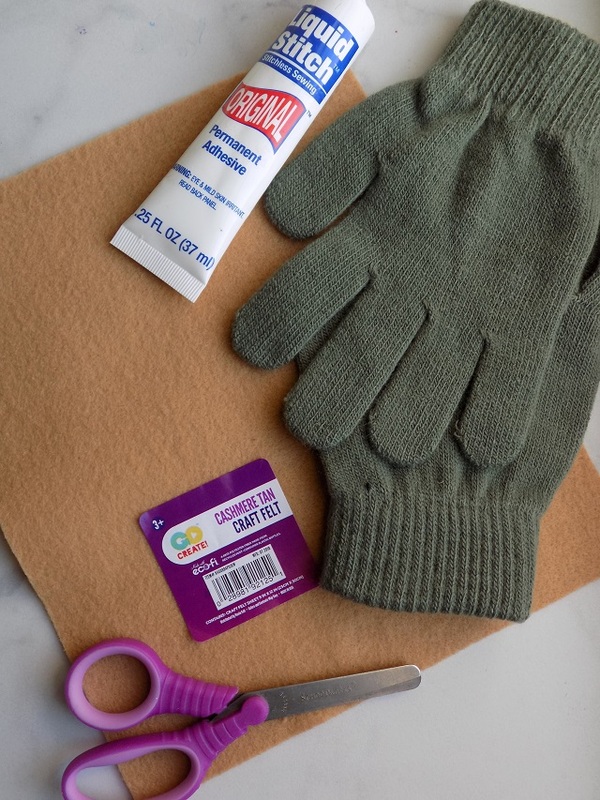 Cut a slit in the tip of each of the fingertips on your gloves. Add a generous dot of Liquid Stitch to front /back of one of the felt "claws," at the base. 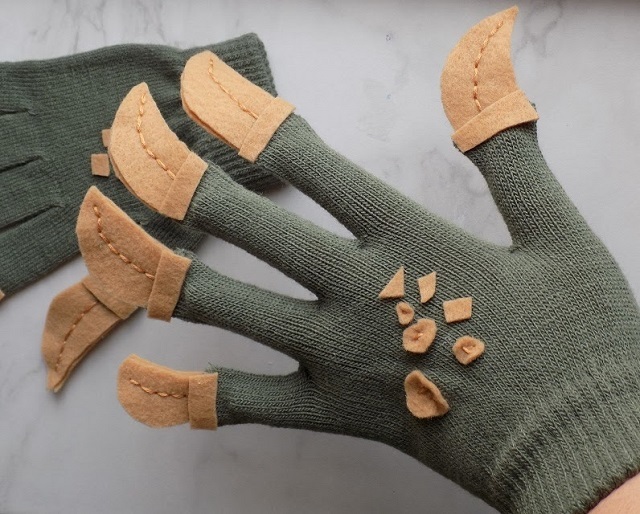 Carefully insert the felt into the slit that you created in the fingertip of the gloves. Repeat this step until each of your felt claws have been glued/affixed to your gloves. Tip: set the liquid stitch quickly as you go, using the lowest setting on a hair-dryer. 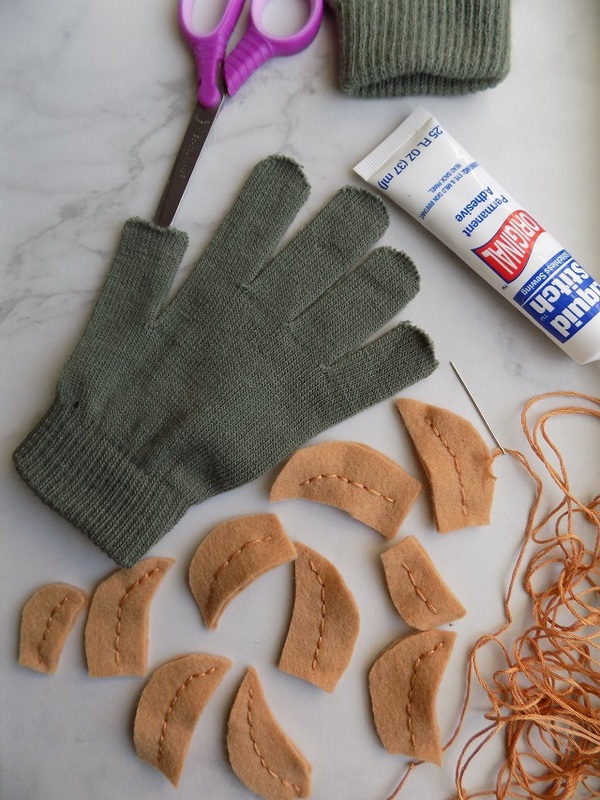 Add a small dot of Liquid Stitch to the back of each of the pre-cut felt "scales" Affix them in a random pattern on the top of each of your gloves. Tip: set the Liquid Stitch quickly, using the lowest setting on a hair-dryer. 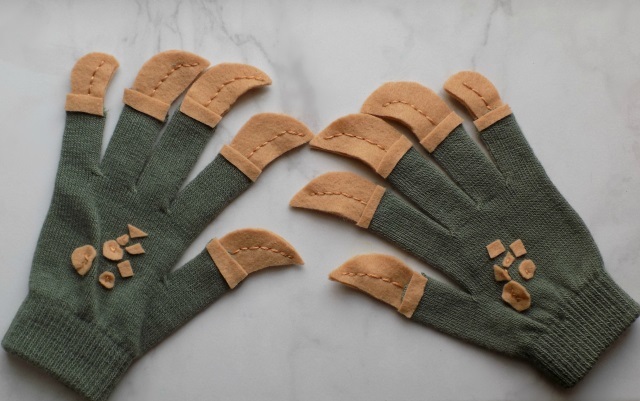 Once the Liquid Stitch is dried / set, wear your completed no-sew dinosaur gloves, and enjoy! Now that you're all geared up with your No-Sew Dinosaur Gloves, tune-in to the premiere of Gigantosaurus on Disney Channel, during the Disney Junior program this Friday, January 18th [at 9 a.m!] Follow the advenutres of #Gigantosaurus on Instagram and Facebook. Dollar stores make it very affordable to do crafts like this. They aren't going to wear the gloves every day, so you can buy the cheapest they have.